Why don’t you go to the mountains this summer? Imagine an international alpine resort, in the heart of the protected environment of the Alps, where softness of life and dynamism would be your pleasures… Source of fresh air and immense playground, La Clusaz unfolds its virgin and natural spaces, out of the ordinary. 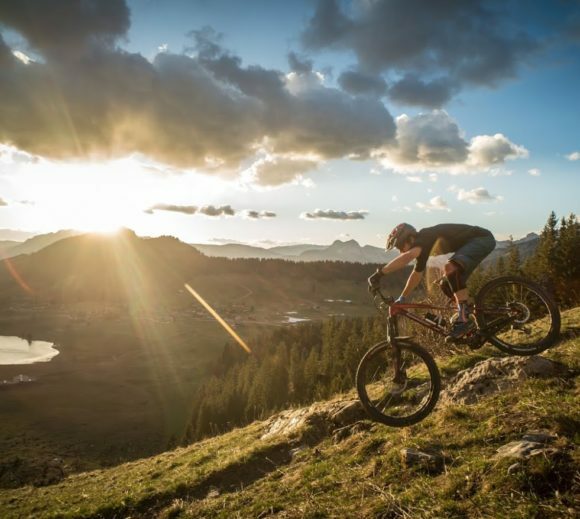 From mountain biking to hiking or even climbing, via a relaxing session in the aquatic area or on the shores of Lake Annecy, La Clusaz is the assurance of an attractive destination that offers a wide range of outdoor activities and well-being. La Clusaz is synonymous with clean air. Its large natural spaces allow to evolve between forests, mountain pastures, summits, rivers and mountain lakes. It’s a real oxygen bubble every summer! Rule number 2: take the time… No crowd in permanent movement around you, simply recharge. You will live at your own pace, between sporting activities and contemplative moments. Meet the inhabitants of the village and their warm welcome, discover activities to share with the family, and beautiful summer evenings outdoors… Everything to make you come again. It is a real out of the norm domain, between large preserved spaces and worked courses, for young and old, beginners or experts! Whether you are looking for a fun or cultural route, a contemplative stroll or enduro sensations, there is something for every taste and for every level! DROP THE PHONE AND GO HIKING! La Clusaz lies between 1 100 and 2 600 m above sea level and has a huge playground for mountain lovers. In the heart of a preserved and wild nature, the resort can boast ideal hiking routes. The 700 m of the via ferrata “Yves Pollet-Villard” (named in homage to the famous mountain guide and former mayor) are traced directly in the flanks of the Borderan cliff, and offer a spectacular route, perched between 1 500 and 1 800 m above sea level. In addition, it has a suspended footbridge over 80 m high and a beautiful final overhang. In summer, many farmers offer tourists the opportunity to discover their daily life on the farm in the alpine pastures: herds, milking cows, making Reblochon and maturing it, but also authentic snacks with local products. THE FARMER’S REBLOCHON, THE PRIDE OF A TERRITORY! La Clusaz is his kingdom, and the “Hamlet of the Alps” his palace. This real heritage centre, Reblochon Fermier temple, allows you to discover all the secrets of 100% Aravis cheese. Benefiting from the Protected Designation of Origin, awarded only for 48 cheeses in France, this local product is manufactured in La Clusaz by farmers respecting traditional processes. Blow it out! La Clusaz takes care of everything! Tranquility deserves time for itself. This is why the resotrt multiplies activities for children and simplifies the management of their diary. Something to take the time to breathe and relax to recharge your batteries. That’s why La Clusaz is offering two very advantageous packages this summer for a stay in its mountains: the Détente Plus pass and the Enfant Roi pass.